Premium quality one-part high modulus polyurethane sealant and adhesive which bonds to most substrates. Can be overpainted when cured. Suitable for automotive and engineering uses. 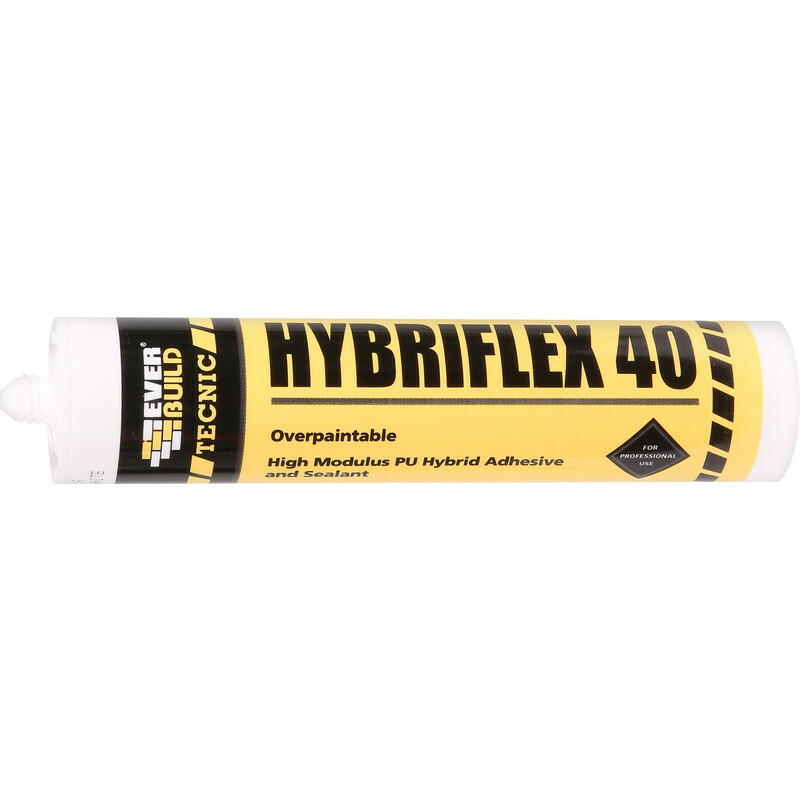 Hybriflex 40 PU Hybrid Adhesive 300ml White is rated 5.0 out of 5 by 1. Rated 5 out of 5 by Liddo from Higher spec adhesive PU adhesive is a bit higher spec than normal for building jobs. I bonded plywood to concrete successfully so far! (1 week indoor use). The water based tile adhesive I tried before fell off straight away and was probably the wrong stuff I suppose. This PU adhesive feels like silicon sealant when it's dry. It took about 30 hours to reach full strength in our conservatory at about 12C (winter).